Dr. Giovanni Ciuffo began providing bloodless heart surgery to patients for Jehovah’s Witnesses. Jehovah’s Witnesses must abstain from blood transfusions, according to their bible. Now, many more people are interested in bloodless surgery because of its many benefits. 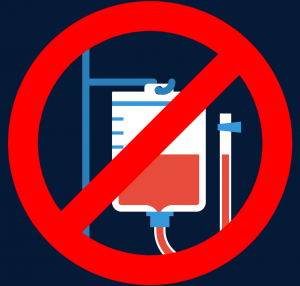 Without undergoing a blood transfusion during your surgery, you can be protected from many things — resulting in a quicker and easier recovery. Bloodless surgery not only helps meet the religious needs of Jehovah’s Witnesses but also provides multiple specific health benefits. During your recovery after traditional surgery with a blood transfusion, your immune system becomes weak and less reactive, making it harder to fight infections. Bloodless heart surgery keeps your immune system strong during your recovery. Blood transfusions cause serious effects on our body and our immune system. Sometimes the effects can manifest as severe allergic reactions. By avoiding a transfusion, patients also avoid allergic reactions that can slow down recovery and cause other problems in the body. Some patients see an accumulation of inflammatory fluids in various organs (lungs, kidneys, muscles) and soft tissues after a transfusion. This inflammatory response effectively slows down the recovery period after traditional heart surgery. This does not happen with bloodless patients. While this is not much of a concern with modern blood screening methods, some patients feel more comfortable without the need to worry about blood borne viruses, like HIV/AIDS, hepatitis, and others. Learn about one of our bloodless heart surgery patients who traveled from Australia to receive this specialty from Dr. Ciuffo. If you or a loved one is interested in further information about minimally invasive, bloodless heart surgery that will align with your religious beliefs and health concerns, please get in touch with Dr. Ciuffo today. Call our office at (330) 588-4676 or contact us online. Dr. Ciuffo looks forward to helping you move toward living a better, healthier life.